Festivities and wedding season is in order. While getting together the correct kind of goodies is a Herculean task, figuring their packaging is another ordeal altogether. But with Jade Festivities both those will be taken care of, in style. Started in 2009 by Khushboo Valecha, Jade Festivities is your single answer to many gifting questions, especially during this time of the year. We often find ourselves struggling with deciding the kind of things we can buy within a budget that must look great, have utility, and be something we’d be remembered for. But given time crunches almost every year, we often end up compromising. Enter, Jade Festivities. 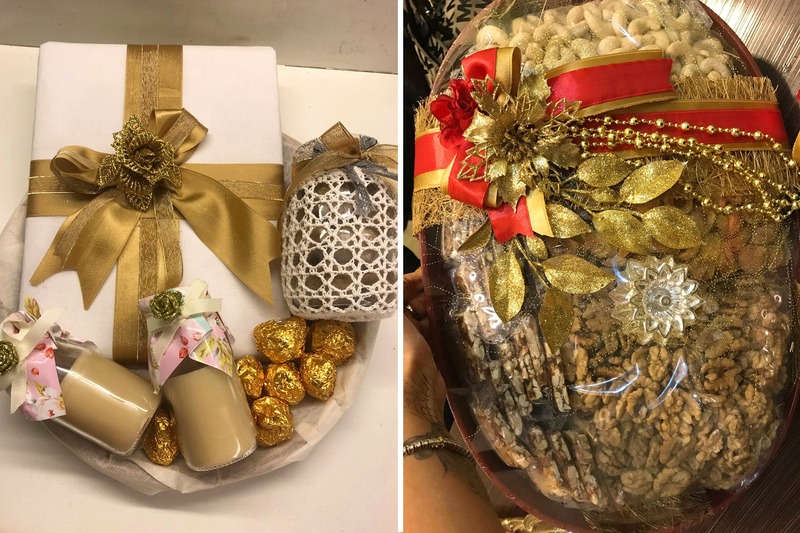 Khushboo loves putting things together to create lovely hampers that are popular amongst the masses and the celebrities alike. Be it baby showers, birth announcements, corporate gifts, birthday party return favours, or festive gifting, they’ve got you covered. All you must do is give her a call, explain your budget and requirement, and she’ll and her team will do the rest. Oh! And wedding trousseaus! That’s their most favourite part. From crafting adorable packaging to personally handpicking snacks, gifts, or other popular and relevant gifts, she will deliver just the things you need. While they source some filler goodies (like candles, candle-stands), she also steps out to buy things depending on your budget and request. And if asked, they also add delicious brownies to the hampers that are freshly prepared in the kitchens of Sammy Sosa, your Oshiwara neighbourhood haunt. So what are you waiting for? Pick up the call and get professional help for all your gifting requirements. Be clear in your head as to your requirement and explain it well. We assure you won’t be disappointed. And trust them with their choice.